Free to $5 tier Patreon supporters.Click here for access. 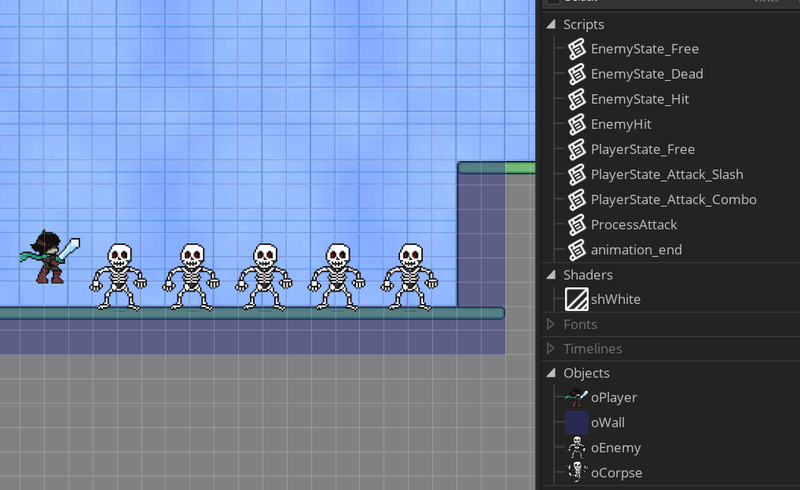 This is the source code to support my free in-depth tutorial on Melee attacks in GameMaker Studio 2. Includes scripts for a basic platform character with a state machine and two chainable attack states.